We do more than build houses, we build homes. Manor Homes routinely tops the list of the Northwest’s best performing homebuilders and is one of only a handful that is family-owned and operated. The company’s roots are firmly grounded in family, with three generations of homebuilding in its blood. In 2003, Matt Seppala, his nephew Kevin Seppala, and Kevin’s brother-in-law Randy Questad collaborated on a 110-lot subdivision project under the name Hiddenview Development LLC. The success of that one project led the three family members to join forces more permanently as Manor Homes. The company is best known for quality, affordability, and above all, flexibility. 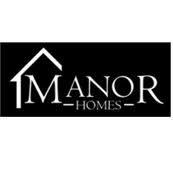 Where it’s hard for larger homebuilders to be flexible, Manor Homes maintains a culture that embraces change and customization. The company’s in-house architect (and cousin) can modify many details in the floorplan and deliver a home that’s anything but a stamped house in a cookie cutter community. Manor communities are carefully selected, with a wide range of houses from affordably elegant first homes to custom dream homes, and most anything in between.While many Northwest home builders have struggled, Manor Homes has weathered the downturn in the economy by keeping overhead low and carrying very little debt. The owners believe their old-fashioned principles, along with hands-on homebuilding experience, help keep material and labor costs down on each and every project.